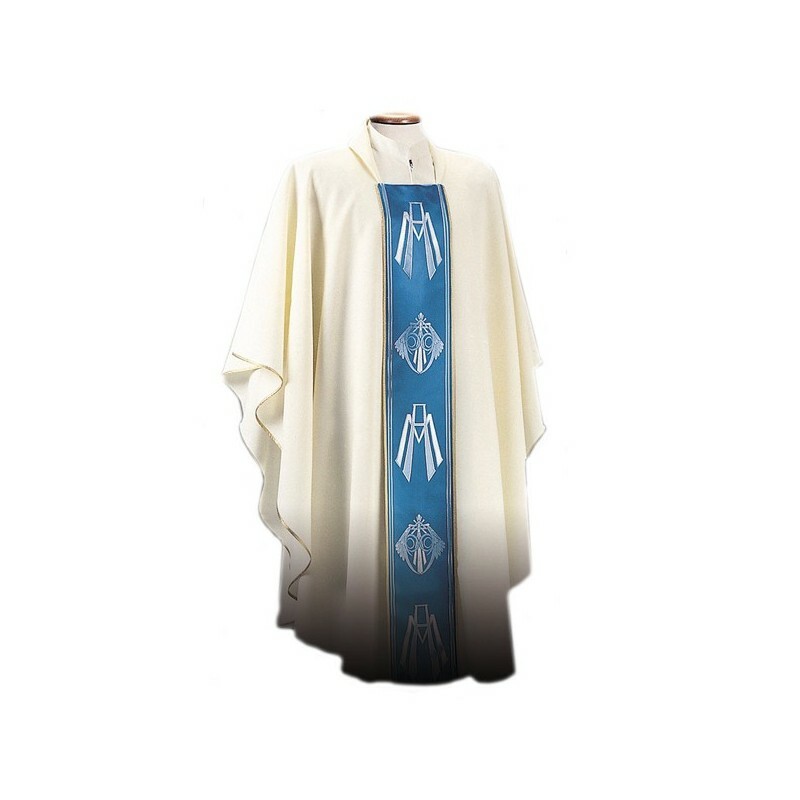 Polyester chasuble embroidered by skilled embroiderers. L. cm. 180, H. cm. 132. Made in Italy.